The new edition will be published October 25, 2019. If you need this title before then, please see the previous edition. Now revised and updated, with many new lesson plans and a new chapter on writing instruction, this trusted book guides upper-elementary teachers to design and implement a research-based literacy program. The expert authors show how to teach and assess students in differentiated small groups, and explain how instruction works in a tiered response-to-intervention model. Included are extensive reproducible lesson plans and other tools for building students’ skills in word recognition, fluency, vocabulary, comprehension, and writing. The convenient large-size format facilitates photocopying; purchasers also get access to a Web page where they can download and print the reproducible materials. 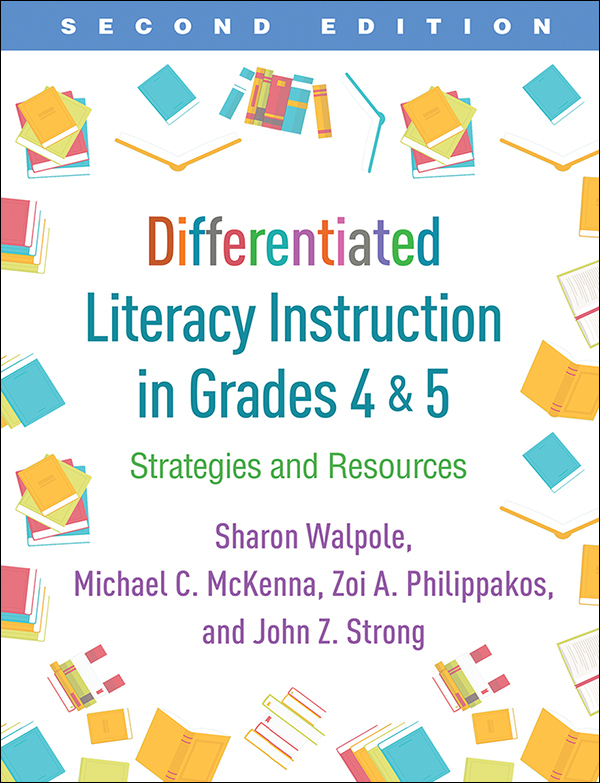 Prior edition title: Differentiated Reading Instruction in Grades 4 and 5. Chapter on differentiated writing instruction. New lesson plans for Tier 1 instruction, interactive read-alouds, and narrative writing; new extended sample lessons for building fluency, vocabulary, and comprehension. Updated with the latest research and recommended teacher resources. All reproducible materials now available online.